-- Recent remarks by Federal Reserve Chairman Alan Greenspan have helped drive mortgage rates to their lowest levels in more than forty years and created an outstanding opportunity for homeowners to save money by refinancing their mortgages, RealEstateFinance.com says. Greenspan signaled in a speech last week that the central bank might be leaning towards one more adjustment in official interest rates sometime before 2003. Treasury notes and bonds that influence mortgage rates are at their lowest levels since May 1963. Mortgage rates have fallen even faster, to their lowest point since October 1963. Jerry Gradisher, RealEstateFinance.com's webmaster, says the current 30-year rate of about 6.00% has dropped from 6.500% as recently as last month for a 30-year conventional fixed-rate mortgage with no discount points and a 1% origination fee. That rate stood at 8.125% in January, 2001 and 8.625% in May. For a conventional 15-year mortgage, RealEstateFinance.com's rate is about 5.50%, compared to 6.125% in early November, 6.625% in January and 7.250% in May. While it was true several years ago that bankers advised refinancing mortgages that stood at 1.5 percentage points above current market levels, that formula no longer applies. Home owners now can save money by refinancing when the difference between the interest rate on their existing mortgage and the prevailing rate is as low as 0.5%. At today's rates, any homeowner with an existing 30-year mortgage at 7.125% or higher can realize noticeable savings by refinancing, either by lowering their monthly payments or reducing the length of the loan, Gradisher says. Streamlined refinance products and technological advances have cut banks' costs of refinancing mortgages, and those savings have been passed on to borrowers, he explains. RealEstateFinance.com analysts don't expect long-term interest rates, including those for mortgages, to rise sharply anytime soon. However, when or whether Greenspan and his fellow governors will cut short-term interest rates is impossible to foresee, so it might not make sense for homeowners to wait for potential rate cuts when they could start saving on monthly mortgage notes now, Peters says. And the often unpredictable Treasury market can send rates higher at any unforeseen hint of inflation or other financial disruption. It's true that the holiday season is historically a slow one for the real estate market, when seasonal expenses can distract potential homebuyers. However, current mortgage rates also could help buyers present their families with the ultimate Christmas gift - a new home, Gradisher says. INFORMATION HEREIN DEEMED RELIABLE BUT NOT GUARANTEED AND SHOULD BE VERIFIED. There are no real estate offices in Elfin Forest, nor any other commercial activity except a few wholesale greenhouses. Large agencies in Encinitas, San Marcos, Escondido and Rancho Santa Fe service our community. 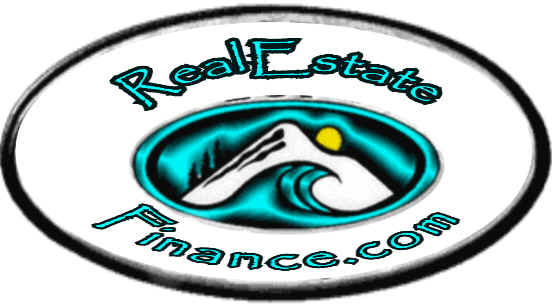 Below is a list of realtors who have represented buyers and sellers in Elfin Forest. Realtors, please send us corrections and updates. The documents available on this page are in PDF format. They can be opened in Adobe® Acrobat® Reader and printed from there. Click on link => Adobe Acrobat for a FREE Reader download. Printing: Laser printers and Inkjet printers process their information differently. A laser printer, which is also known as a "page printer", takes the information for an entire document all in one gulp. Because of this, it can sometimes have memory problems when it comes to processing and printing that information. This can occur with some Adobe Acrobat PDF documents that are larger in size. An ink jet printer processes the information for a document in sections and prints them out that way, which is why most anything will print with an inkjet. If you're trying to print an Adobe Acrobat PDF document and your printer just blinks at you, it may be a conflict in the setup of the file. You may be feeding PS level II code to a PS level I printer. Check the Print dialog settings in Acrobat and check `PS level I only'. 2. In the Printers window, find the icon for the printer you are using. 3. Click on it with your Right Mouse Button and from the fly-down menu, select Properties. 3. Click the Details tab and increase the Transmission Retry to 999 seconds (or higher). The following list is all the properties listed in the map code page Thomas Guide1148. 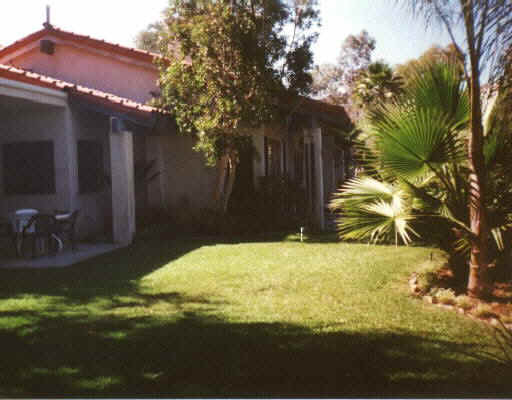 Most of the listings are for Elfin Forest, Olivenhain or Rancho Santa Fe. Contact us for further info on these or any others you may be interested in.